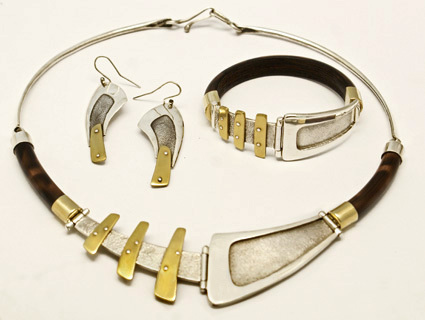 Liz's jewellery begins with a process of melting and alloying pure metals into sterling silver, 9ct and 18ct gold before using fabricating and fusing techniques to realise each design. With the aid of sophisticated machinery, it is possible for each piece to be planned without the restriction of size or shape of material. 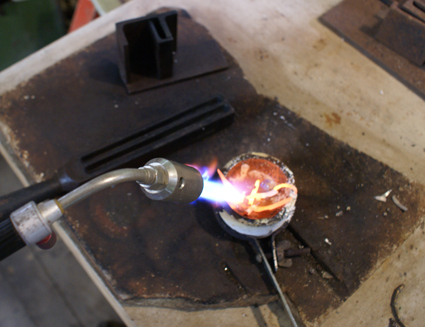 The molten metal is poured into molds before being milled to shape for either wire or plate. 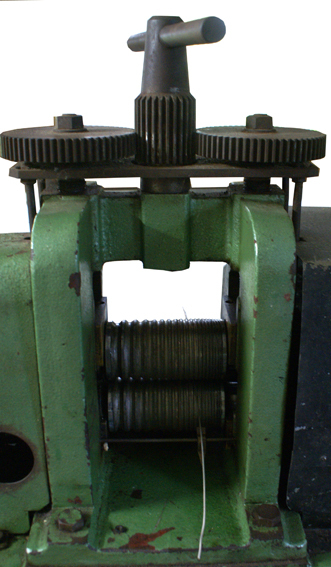 The plate is rolled out to the desired thickness and the wire is extruded through draw plates to achieve the shape and size required. 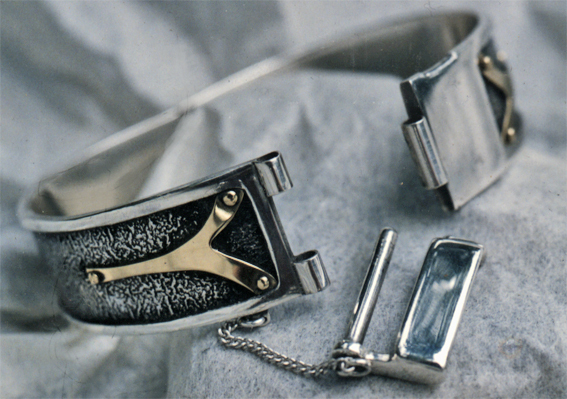 Having the capacity to recycle the unused metal means more efficient use of the material and is less expensive. 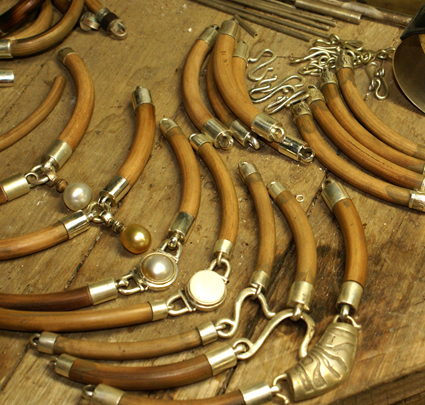 Adding to the spirit of individuality of a hand made product, most of Liz's designs incorporate natural materials including lawyer cane, horn and bone. 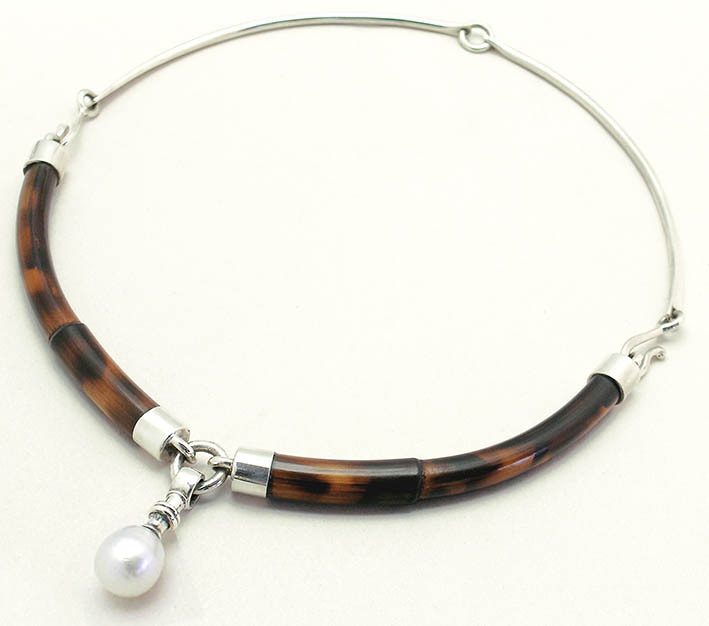 The unique use of Lawyer cane with precious metals evolved from a time when Liz was creating baskets from lawyer cane while experimenting with jewellery making. The cane, normally used in basket and furniture making is transformed, by a process of heating and polishing, from its rustic state to a material that shines in combination with precious metals and Liz's signature style designs. 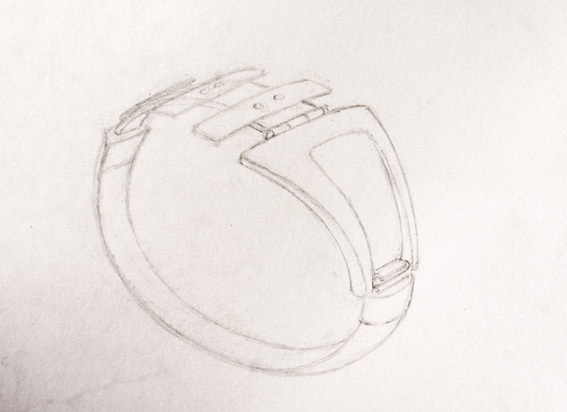 Liz enjoys designing and making the mechanics of clasps and hinges which often end up as a feature of the piece of jewellery. 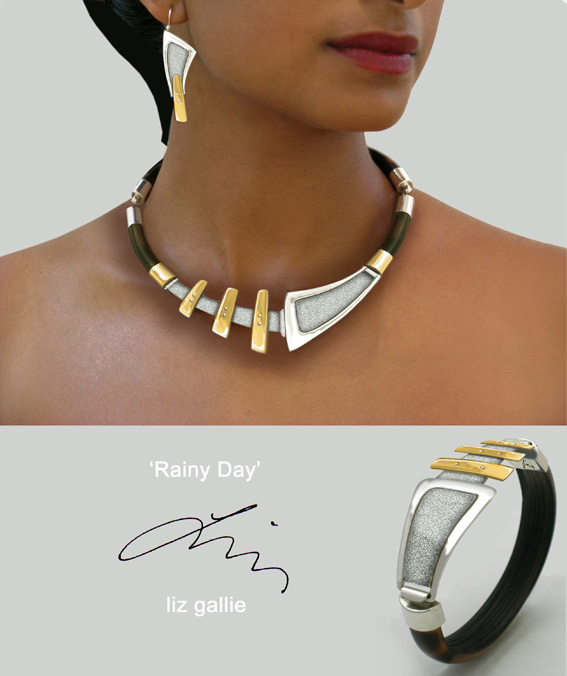 The 'Rainy Day' necklace, bangle and earrings set was designed and handcrafted for a local art exhibition. 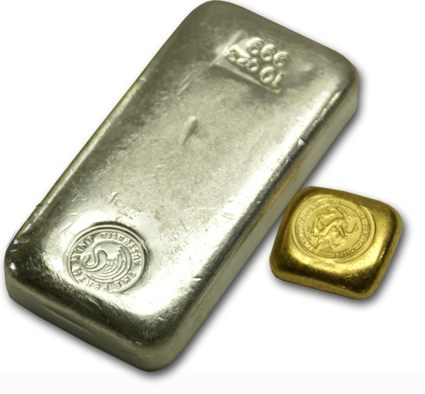 The idea was to use a full once of gold bullion into the design so it could be removed, if needed, and traded as bullion for a 'rainy day'. 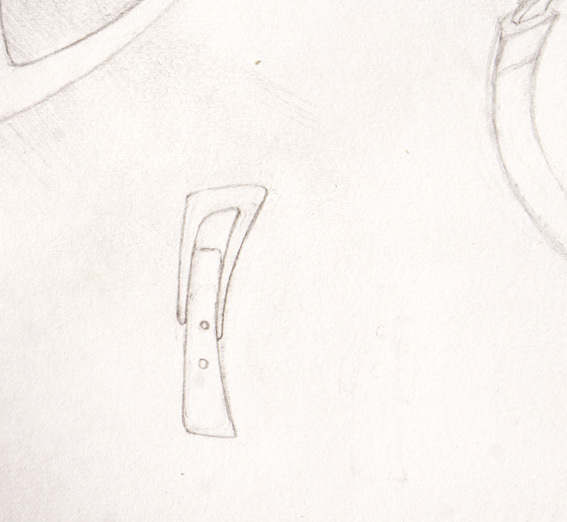 First came the drawing. 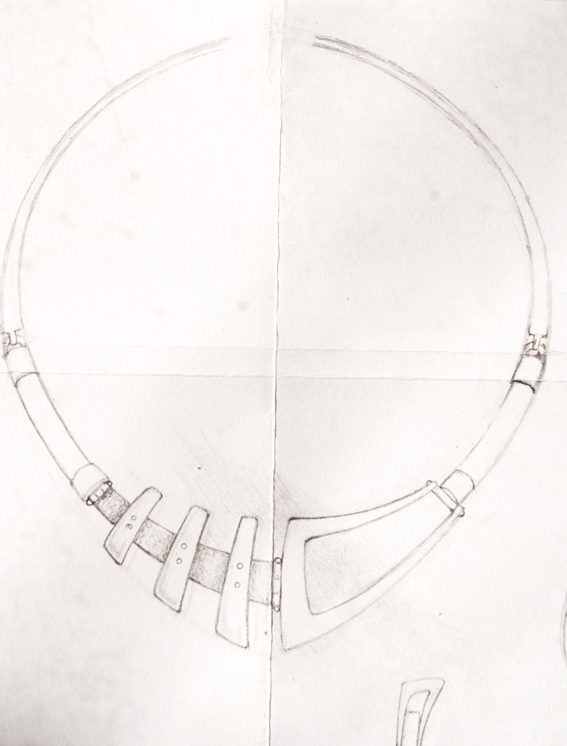 "I don't always approach a design with a drawing but with this one it was necessary to plan each stage to ensure the whole ounce of gold was incorporated without any being left over" said Liz. A computer generated 'drawing' was submitted with the entry form. 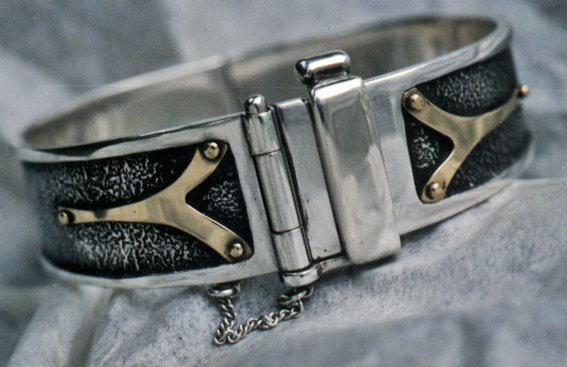 The materials used were sterling silver with loya cane and 24ct gold.